NICOSIA, CYPRUS. 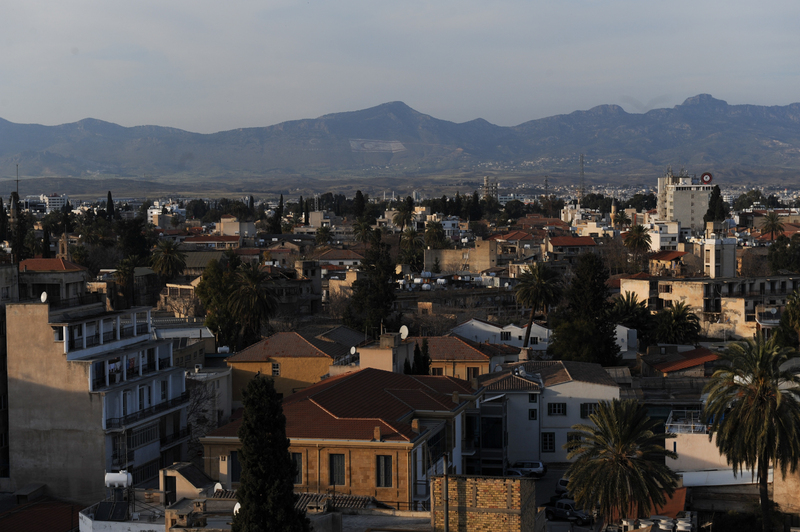 A view of Nicosia and the Turkish-occupied northern half of the city and Cyprus is seen from the roof of the Holiday Inn on March 25, 2013. The mountain on the Turkish side has the flag of the Turkish Republic of Northern Cyprus emblazoned on its side with stones, which lights up at night and is visible from across the border in the Greek-speaking southern half of Cyprus.